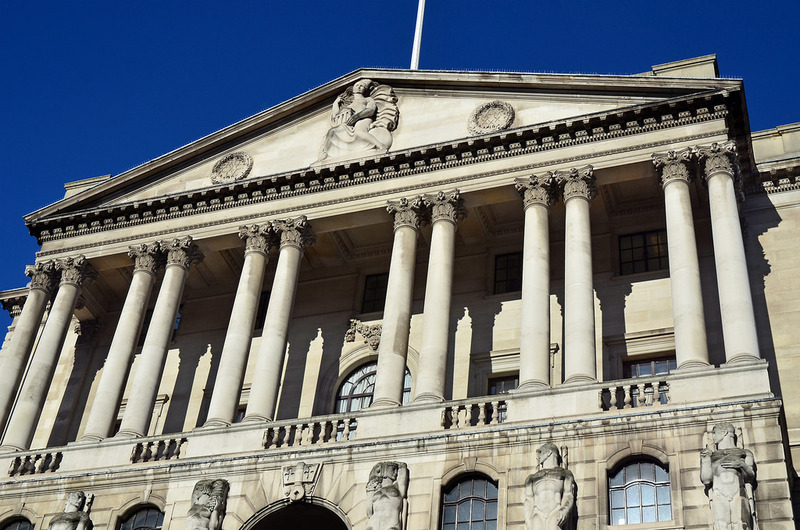 On October 30th – 31st Survation conducted a poll on behalf of the Daily Mirror regarding the potential effects of a rise in the base interest rate on UK citizens. The poll questioned 1,028 UK adults over the two days. 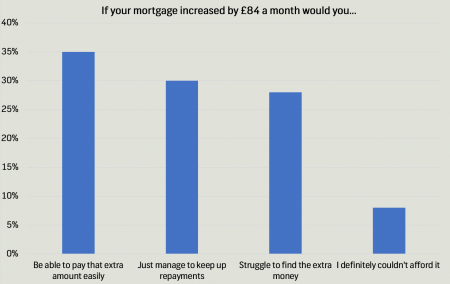 We asked members of the public who currently have a mortgage if they could afford an increase in their monthly mortgage payments. 74% said they could, but 27% said they couldn’t afford “even a small increase in their payments”. If the base rate increases by 0.25% it would push the typical £150,000 UK mortgage up by £21 a month. Survation asked those with a mortgage, who said they could afford an increase in their payments, if they could afford to pay that amount. 67% of UK mortgage holders would be able to pay the extra amount. However, 8% said they would struggle to find the additional money for payments. Excluding those who couldn’t afford an increase of 0.25%, we asked respondents if there was a 0.5% increase, causing the typical mortgage to rise by £41, how it would affect them. 13% of people reported that they would struggle to find the money and 4% definitely couldn’t afford it. Further, excluding those who couldn’t afford a 0.25% or 0.5% increase in base interest rates, only 35% of those who have a mortgage would be able to accommodate a 1% increase and an average additional payment of £84 easily. If interest rates increased by 1%, 28% of people would struggle and 8% of people definitely would not be able to afford the change. Overall, a total of 38% of UK mortgage holders would not be able to easily manage an increase of 1% to the base interest rate. 6% of all mortgage holders would not be able to accommodate an increase of £21 to their payment. Of those who would not be able to accommodate an increase of £21 to their payment, 20% of the adults are between the ages of 18 and 34 leaving young adults struggling the most. We asked UK renters if their rent increased how much they could afford to pay. Over a quarter of renters said they could only afford up to a £10 increase in their monthly rent. Adults over the age of 55 being the most vulnerable, with almost a third unable to pay an additional £10 in rent, compared to just under a quarter of 18 to 34-year-olds. Out of all UK renters, 17% reported that they could not afford an increase at all and that they are already struggling to pay rent. If your rent increased how much extra per month could you afford to pay? 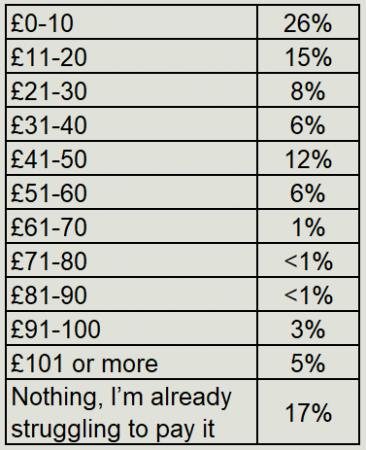 We found that of the UK adults polled, 31% of them do not have any savings. Of the adults that do not have any savings, 42% of these adults are between the age of 18 and 34. Additionally, 16% of those who do not have any savings are over the age of 55. Out of the almost 70% of people who have savings, 4% said their savings wouldn’t last even a month and 12% said their savings would last one to two months. 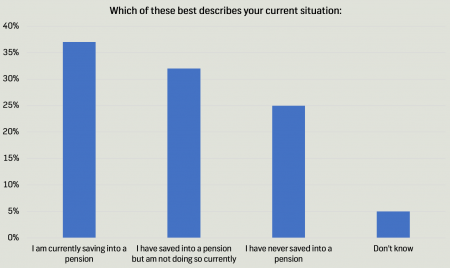 We also asked all respondents about pensions and found that 25% of adults polled have never saved into a pension. Further, 32% of people have saved into a pension but are not currently doing so.